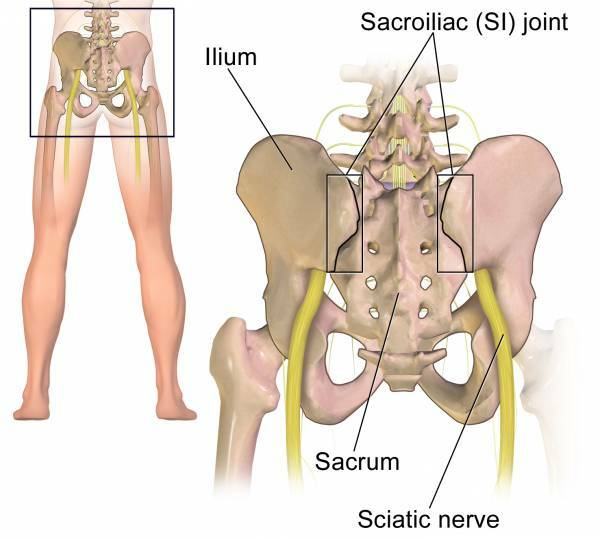 Sciatica or sciatic pain is characterised by pain or numbness that travels down the leg. Usually it only affects one leg, but in some cases it can affect both legs. The pain felt is most commonly felt down the back of the leg, but can also be felt in the front or outside of the leg. It gets its name from the fact it is a irritation or impingement on the sciatic nerve, interrupting a vital connection between the spine and the leg. The sciatic nerve is the longest and widest single nerve in the body. It is responsible for providing sensation to the skin of the foot and the entire lower leg (excluding the inner side). Its role is to provide a connection between the spinal cord and the leg and foot muscles. Sciatica is caused when we create an irritation on impingement on the sciatic nerve. Imagine your nerve is like a hose pipe and the water being carried through the pipe is the electrical signal travelling through the nerve. What would happen to the water flow if you pinched the hose pipe closed? You could interfere with or even completely stop the flow through the pipe. This is what happens in the most common cause of sciatica; a disc bulge or herniation pinches the nerve in the lower back (lumbar region) and interferes with the signal between the spine and leg. This type of sciatica is called “true sciatica”. Successful long-term management is dependent on removing the movements and posture habits that aggravate damage to the disc. In most cases, this means removing and reducing any movements that create flexion (rounding) of the lumbar (lower) spine. Given enough time and consistent practice of lower back sparing movements will allow the disc bulge/herniation to gristle and eventually heal. 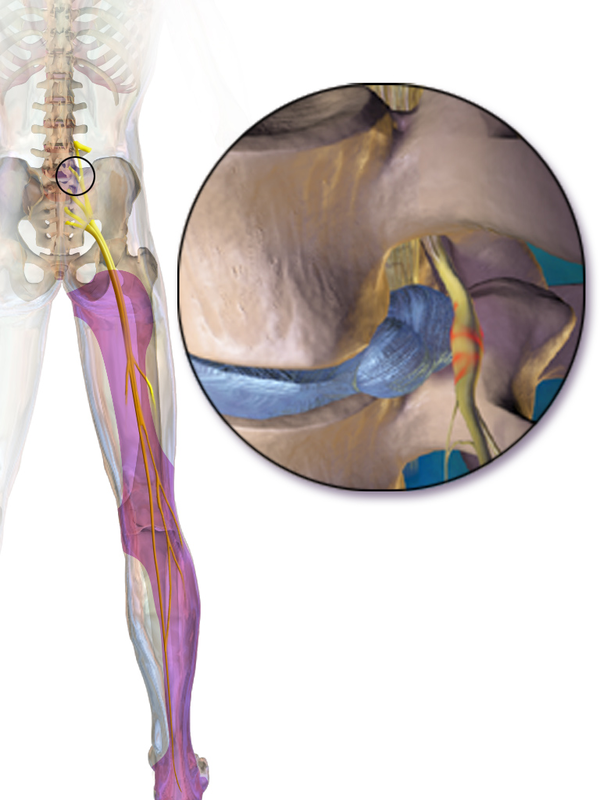 Piriformis syndrome is the second most common cause of sciatic type pain. 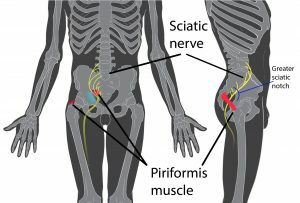 Here the sciatic nerve can be irritated or even impinged by a tight piriformis muscle. 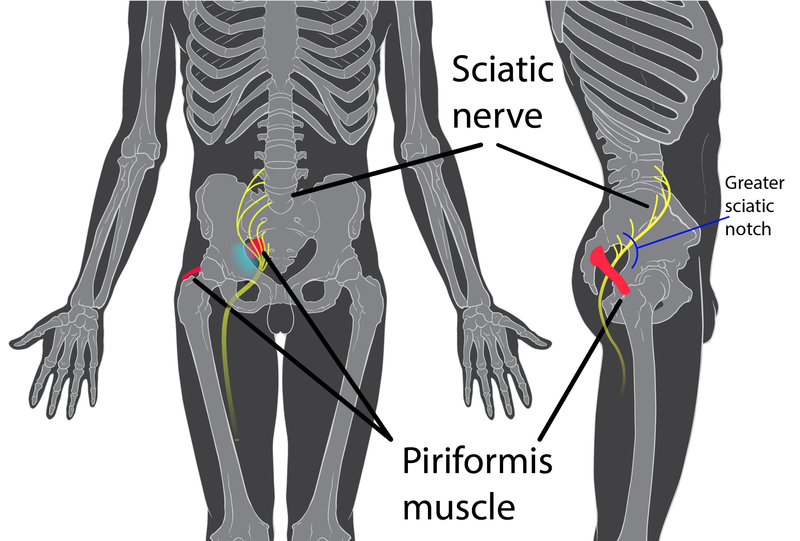 In fact in around 17% of the population, the sciatic nerve can grow though and pierce the piriformis muscle. Management in this case depends upon reducing tightness and aggravation in the piriformis muscle, part of this strategy is outlined in the video below. 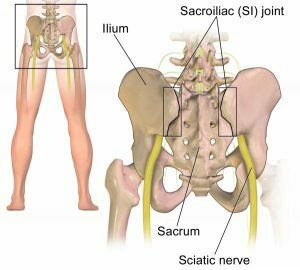 Video: Sciatica – What It Is and How To Fix It.